The War Memorial at Staithes in the District of Scarborough, North Yorkshire, UK. 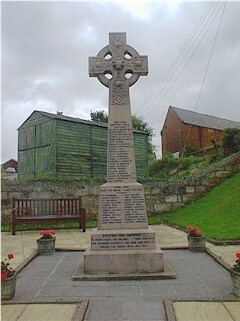 The Staithes War Memorial is located at the top of the High Street between the old Railway Station and the Captain Cook Inn. Like many memorials in small towns and villages throughout the Untied Kingdom one sees the sacrifice made by many generations of the same family in both World Wars. The memorial at Staithes also records the lives lost by a large number of Merchant Seamen who once lived in the town. We will record and publish all the names that are on the memorial at some time in the future.